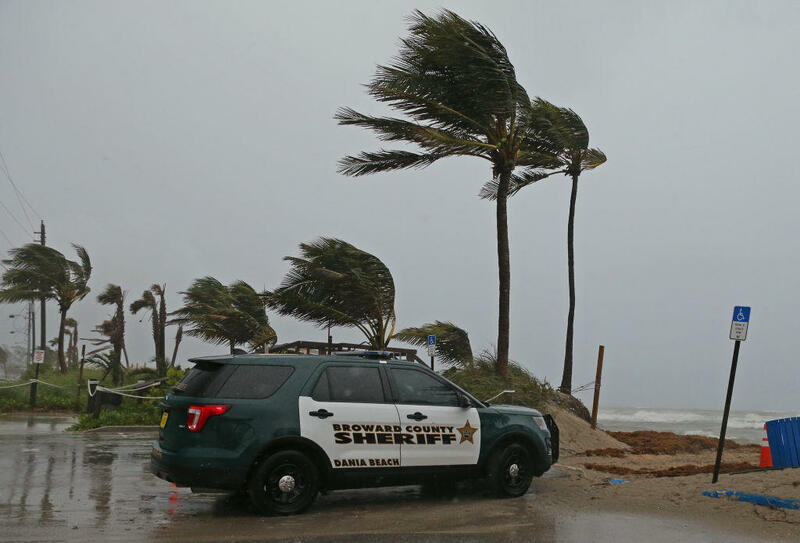 MIAMI BEACH, Fla. — Tropical Storm Gordon lashed South Florida with heavy rains and high winds on Monday. The storm is expected to strengthen into a hurricane when it hits the central U.S. Gulf Coast either Tuesday night or early Wednesday. Gordon is expected to reach hurricane strength by late Tuesday when it hits the Gulf Coast, including coastal Mississippi. From there, it is forecast to move inland over the lower Mississippi Valley on Wednesday. The storm was centered 70 miles south of Mobile, Alabama and 75 miles from Biloxi, Mississippi as of the 7 p.m. It moved 20 miles closer to shore in two hours. Maximum sustained winds were clocked at 70 mph, the National Hurricane Center said in their 7 p.m. ET advisory. "This storm has every possibility to track further in our direction," Edwards said in a news conference Monday evening. Miami Beach Police tweeted that the Labor Day holiday was "NOT a beach day," with rough surf and potential rip currents. Red flags flew over Pensacola-area beaches in Florida's Panhandle, where swimming and wading in the Gulf of Mexico was prohibited. More than 4,000 Florida Power & Light customers lost power Monday due to weather conditions. Jenna Wright, owner of a coffee shop in Naples, Florida, told Naples Daily News that she had expected higher numbers for the Labor Day weekend.